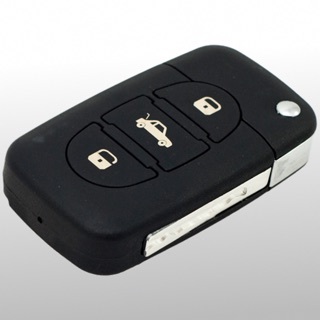 Don’t just own a Car….own a Talking Car! It’s not only in Hollywood movies that cars can talk. This now is a reality! 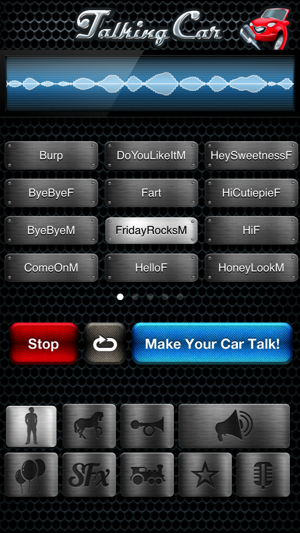 Introducing Talking Car - The first mobile application in the World that will make your car talk, and will take your ride to the whole new level. 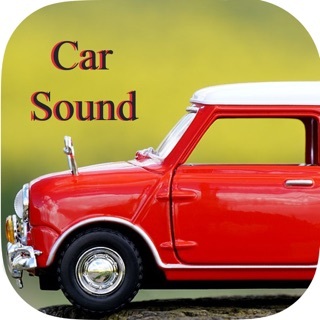 Make your car say funny phrases, or sound like a wild animal, or change the sound of your horn altogether, not to mention all the cool sound effects included in the application. 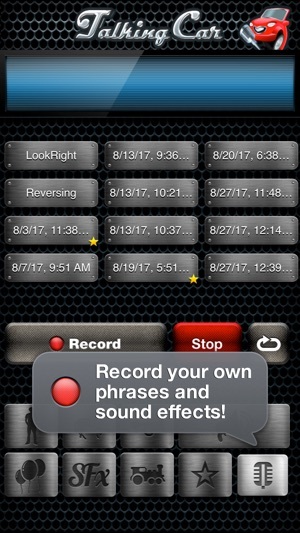 You can record your own sound effects/phrases in any language and play it back through our specially designed amplifier! 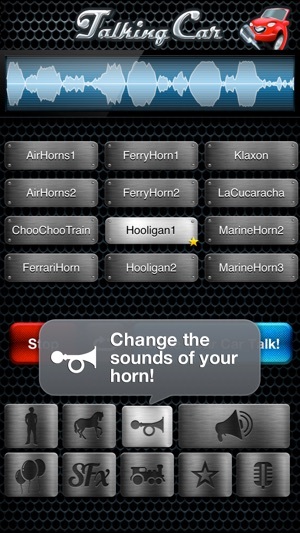 The app has a unique feature that allows you to turn your application/car into a loud speaker! 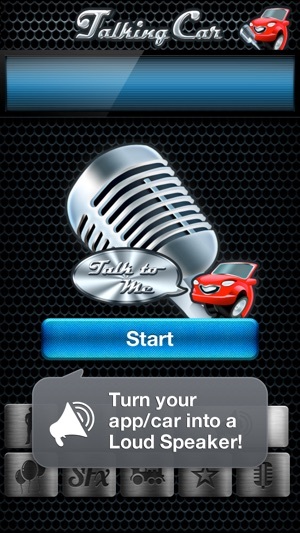 Don’t miss your chance to have your car talk to that cute girl or that handsome guy passing by. Play with it all you want, however, should you decide to try it on your car and have a blast with it, please visit our website and get specially designed amplifier with water resistant speakers, which you can install under the hood of your car yourself in less than an hour. 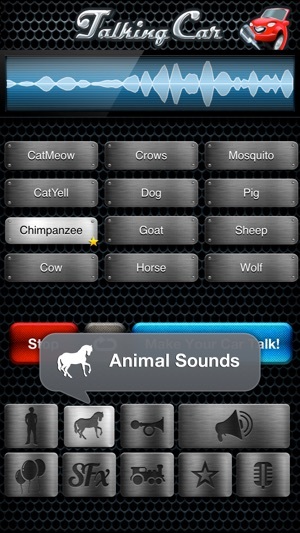 Connect the amplifier to your iPhone/iPod touch and make your car talk! 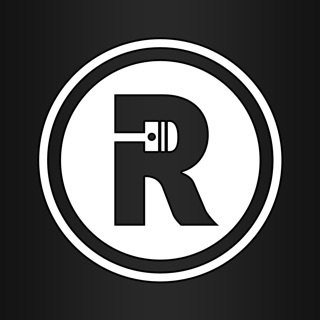 This is the coolest gadget on the market for car lovers around the World and this is your opportunity to become one of its first owners and show it off to your friends on a cruise night. 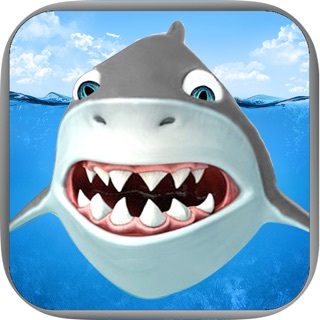 Disclaimer: Be advised that emergency sirens are illegal to imitate and they are NOT included in the application. Please use Talking Car responsibly. Finally here with full line of voices. Keep more updates coming.